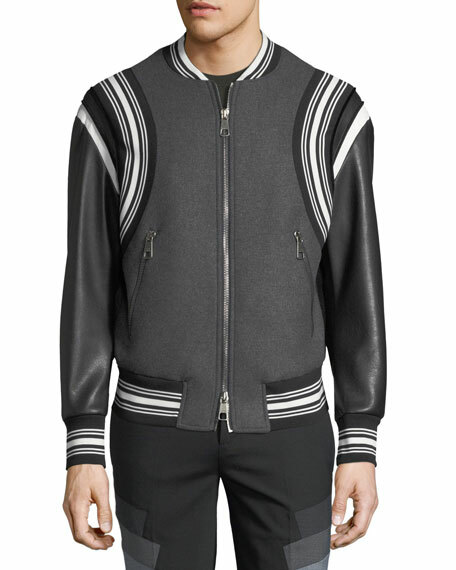 Neil Barrett wool bomber jacket with varsity stripes at knit collar, armholes, cuffs and hem. 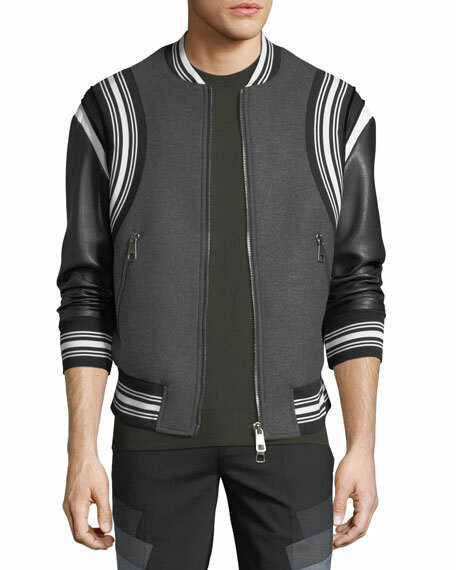 Long faux leather (polyurethane) sleeves. 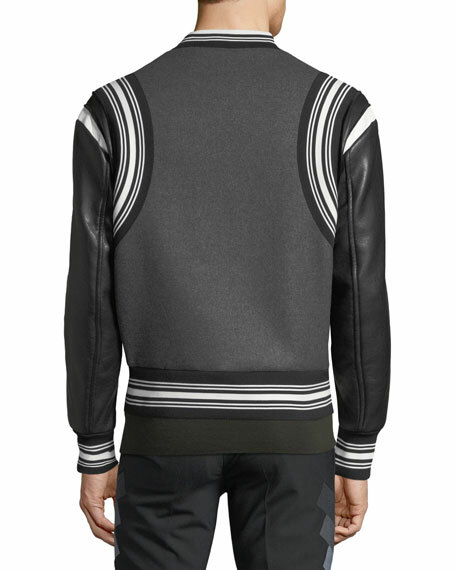 Lambskin leather trim around armholes. For in-store inquiries, use sku #2268898.